I'm not going to lie but I have totally put this baby's nursery on the back burner. 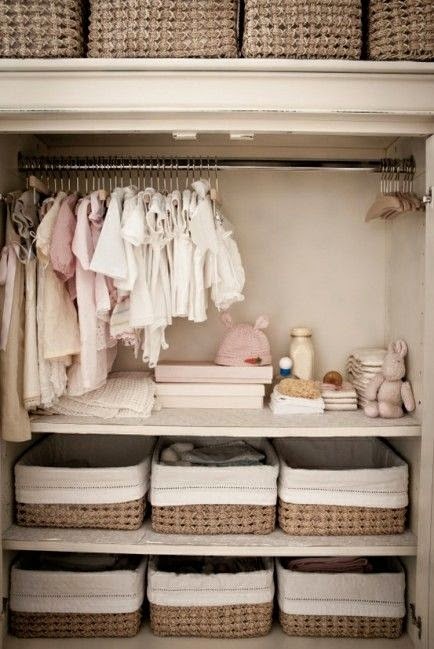 I remember the moment I found out I was pregnant with Hunter, I started piecing his nursery together right away. This time around is a bit different. 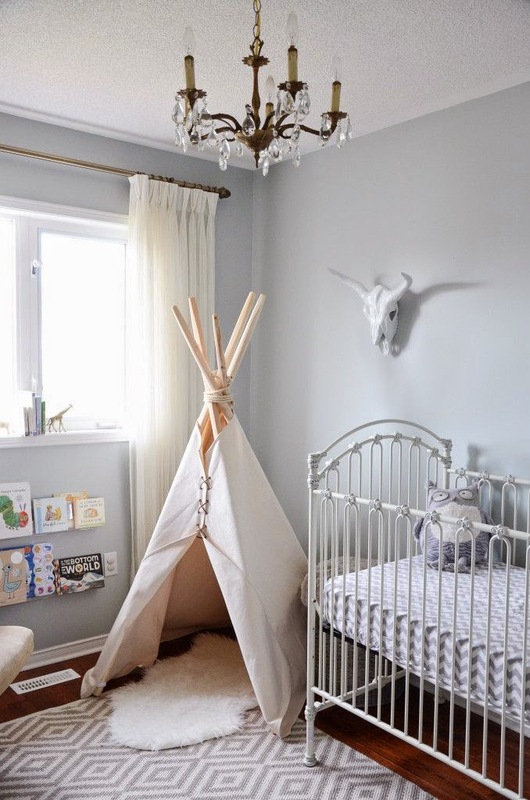 To be honest, I hadn't given the nursery much thought until a very sweet reader emailed us asking to do a post on nursery inspiration. So thank you (you know who you are!) for giving me a much needed kick in the bum to get this room all figured out! 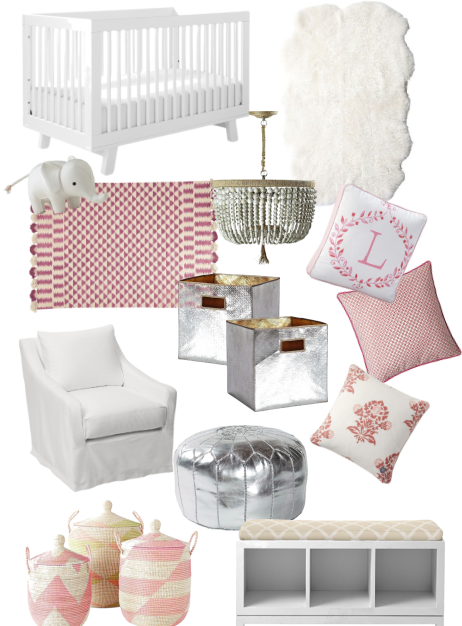 However, the second I started piecing together a nursery inspiration board my thoughts quickly changed. I love all things neutral (which drives my mom crazy) and I don't think I would ever go for a pink wall. I'm thinking about painting the walls a very pale grey or an off-white. I'm going to keep with my white bedding idea (I love this and this) and a white glider (which we already have from H's room). And to tie the room together, I'll add very subtle light (light) pink and metallic silver accents. Love these pillows (1, 2, 3) and these baskets. I also have this cool monogram waiting for me in my shopping cart in both sets of initials in white (we are still deciding between two names). 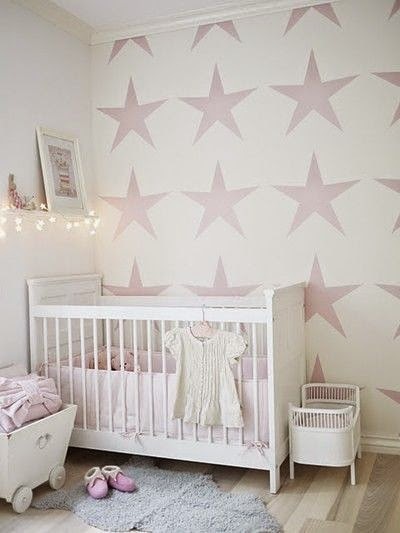 To sum it up: a neutral nursery with (small) hints of pink. I promise to share some pictures when I'm completely finished…which will hopefully be before the baby comes! 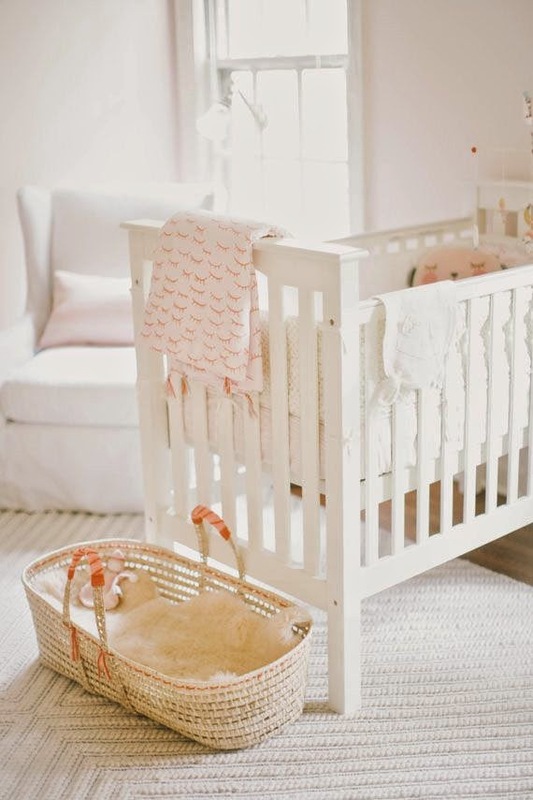 Hi, such pretty nursery inspiration! Would you share the paint color of your current guest room? The light aqua. Thanks!